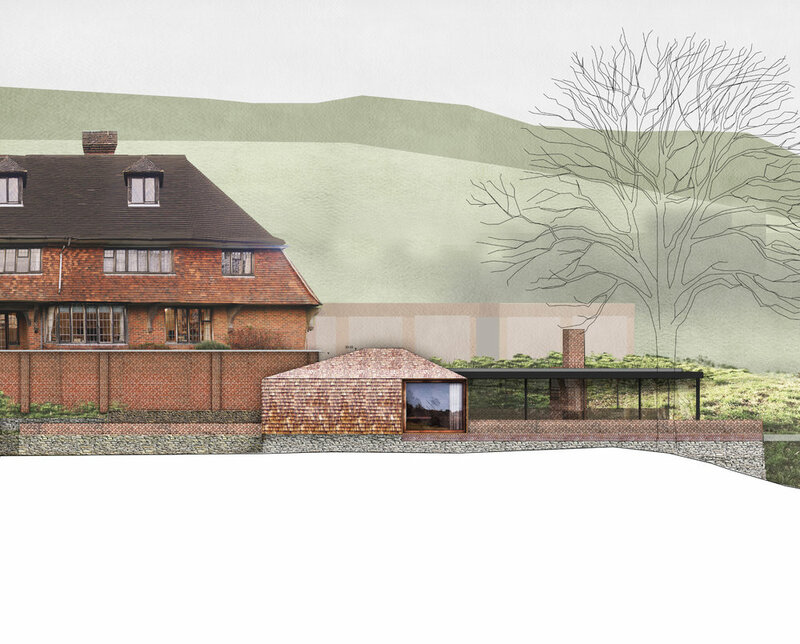 Working closely with two octogenarian clients, we designed and delivered a contemporary yet sympathetic annex to sit alongside a historic farmhouse in the Surrey hills. Great Halfpenny Farm boasts stunning views of the English countryside, but after thirty years in the large home its occupiers longed for something more manageable and modern. The couple therefore passed the farmhouse to the next generation and had their dream retirement home built next door to suit their declining physical abilities. 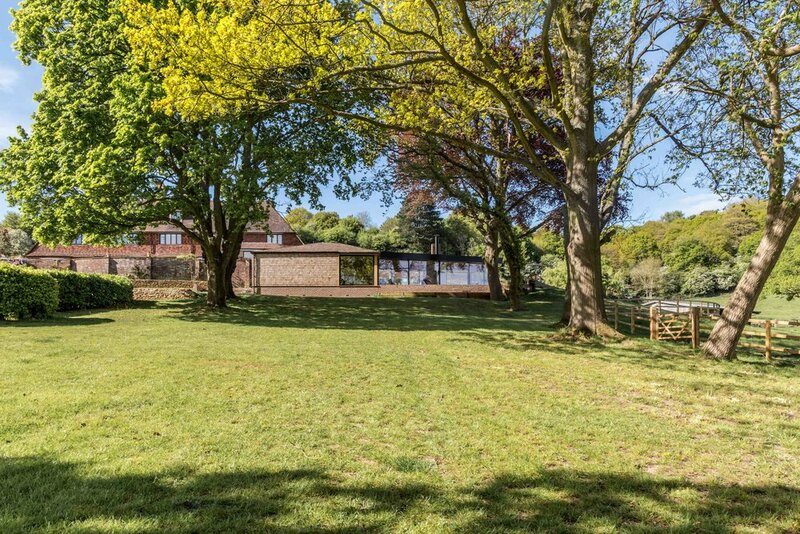 This simply and robustly detailed house blends with the adjoining farmhouse, using a limited palette of local Crowborough multi stock bricks, red cedar shingles and large sliding glazing to allow expansive views of the countryside setting. The 100sqm home was completed in 2015 and provides a manageable and accessible living space in which the couple could enjoy each other’s company within the landscape they knew and adored.